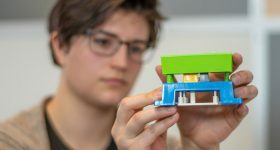 3D printing in May 2018 saw the launch of our second annual 3D Printing Industry Awards (2019 nominations now open) and marked the 10th Anniversary of the RepRap movement. 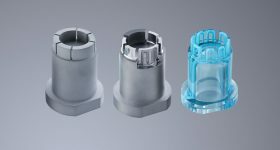 In applications, some of the most popular articles included medical breakthroughs. We were also given the exclusive opportunity to see the latest machines coming to market. 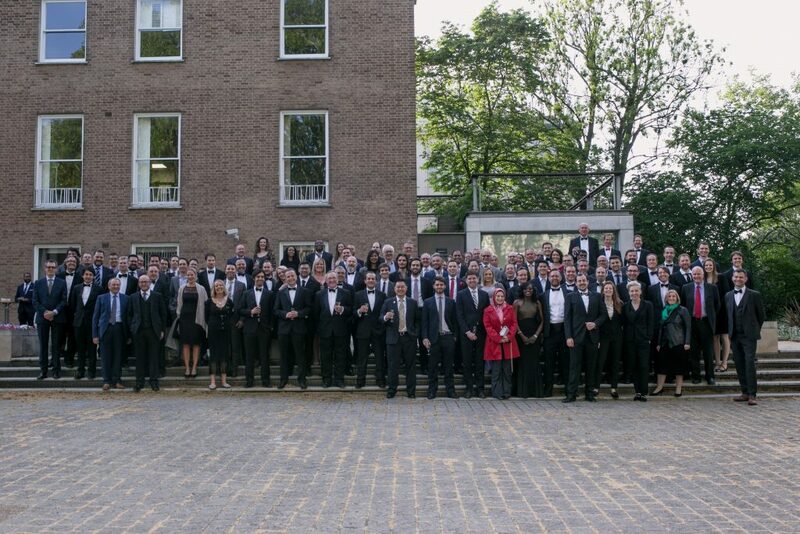 Guests at the 2018 3D Printing Industry Awards. 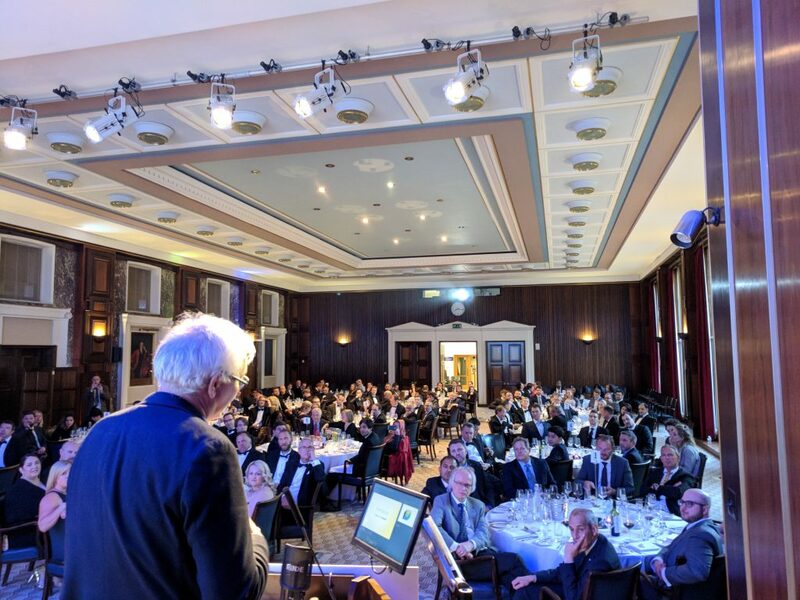 Returning for its second year, the 3D Printing Industry Awards dinner in London hosted over 150 guests from more than 60 companies across the industry. For the first time too, the awards ceremony was live streamed on YouTube via the Make Anything channel. 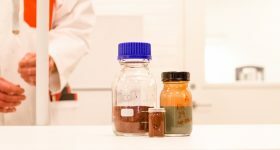 This year’s winners included Volkswagen Autoeuropa and Ultimaker, for Automotive Application of the Year; Protolabs, the Creative use of 3D Printing; and chemical giant BASF, Material Company of the Year. Fried Vancraen, Founder & CEO Materialise, won the Outstanding Contribution to 3D Printing award. 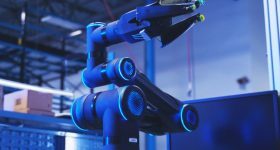 In this month, we also announced that we would be on the jury for the Formnext 2018 Start-up Challenge, which saw five innovative hopefuls exhibit at the show for the first time in the following November. 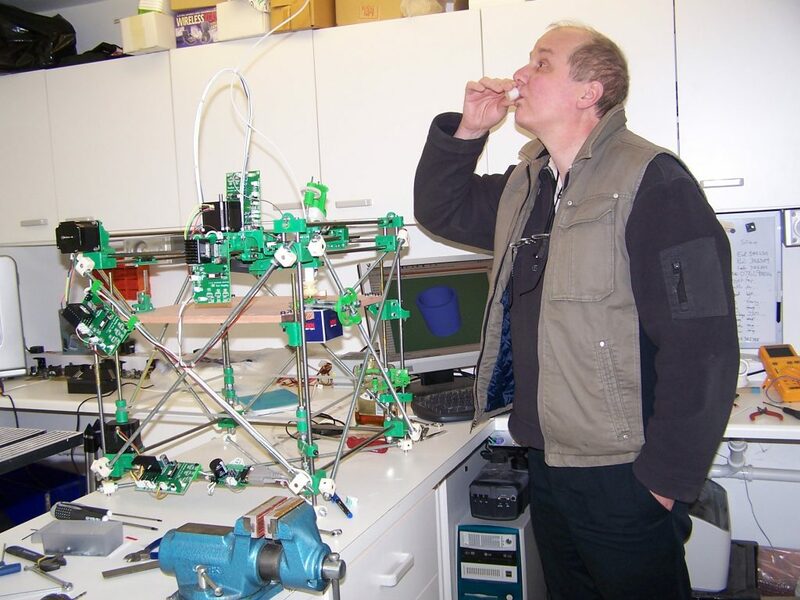 Our celebration of the 10th Anniversary of RepRap kicked off with a guest article from the inventor himself, Dr. Adrian Bowyer. 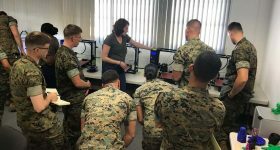 Following Dr. Bowyer, we also received contributions from Vik Olliver, the first RepRap volunteer, and Ed Sells, the PhD student who helped build the first Mendel 3D printer. In terms of applications this month, medical received a significant contribution. 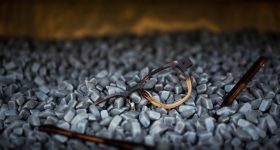 At Newcastle University researchers 3D printed the first human corneas; Stratasys medical models helped save the life of 2 year old child at Guy’s and St. Thomas’ NHS Foundation Trust in the UK; and Limbitless Solutions, Florida, began a clinical trial of 3D printed bionic arms. 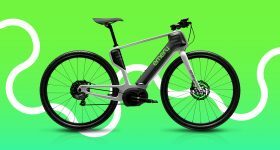 Elsewhere, BigRep’s airless bicycle tire made its debut; NASA green lighted a Made in Space metal 3D printer; and the European Space Agency (ESA) received a prototype high temperature polymer 3D printer. Dr. Stephen Swioklo, holding 3D printed cornea with Professor Che Connon (right). Photo via Newcastle University. In terms of hardware releases, we were invited to Poland to preview the new Lisa Pro SLS 3D printer from Sinterit. 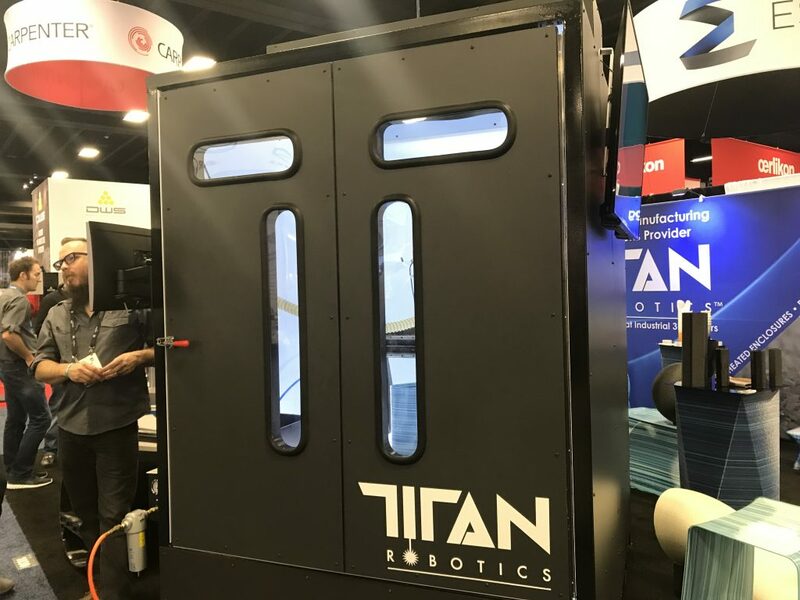 And, following on from April’s preview at Rapid + TCT 2018, we witnessed the launch of Titan Robotics‘ large scale pellet extrusion 3D printer. Next up for our Year in Review series we have (surprise surprise) June 2018! 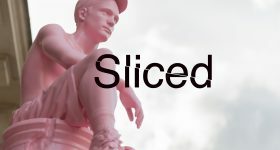 But, in the meantime, place your nominations for the 2019 3D Printing Industry Awards and help decide the next 3D Printer of the Year, OEM of the Year and more. Feature image shows Siert Wijnia, CTO and Co-Founder at Ultimaker collecting the 2018 3D Printing Industry Award for Automotive Application of the Year.